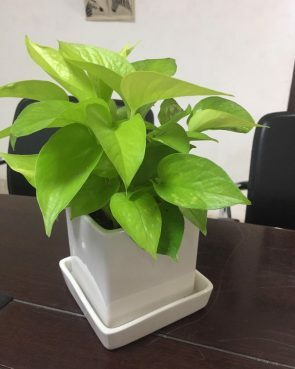 The plant will grow in the provided pot for lifetime if properly cared for. Money plants are evergreen round the year. The potting is a mixture of soil, manure and coco peat. This is the a good practice to combine in a right proportion and increases shelf life of the plants. It retains water and nutrients well, provides good draining because of their porous nature and is pest free. Light: Sunlight, if direct, can scorch the leaves. Too little light, may however, cause the leaves to yellow and wilt. If placing the plant in a window, rotate it regularly to get even light exposure. This plant grows well in indirect sunlight or partial shade conditions year-round. Water: Please pour 100 ml water in 2-3 days in the pots. These include normal pots, hexa pots, and medium ceramic planters at height range of 4 to 6 inches.Water only when the topsoil feels dry, you can touch the soil by your finger and check. Water timing depends on the light condition and also on the indoor temperatures. For those who are looking for watering perfectly, dry topsoil signifies the money plant is ready to get watered. Let plants dry out only in the top two inches of soil before irrigating. If the plant dries out to the roots, growth will retard and the overall health of the plant will suffer. Over watering can cause root rot. Humidity: Mist the plant every week once. This plant prefers normal household humidity during the summer months. It should be given additional misting every two three days if air humidity is exceptionally dry. Or the plant is in air-conditioned space. 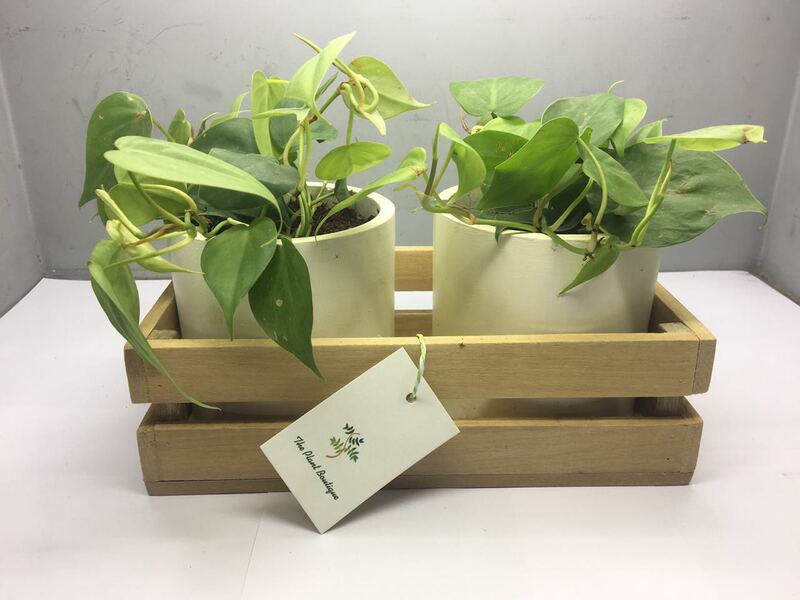 Fertilizer: Pothos are not heavy feeders, the plants should be fed with organic manure once in 100 days, when using soil mix as mentioned above. For normal soil feed bi-monthly, with any balanced houseplant organic manure. Pruning: No pruning is required, but it can be done to shape or control the size of your plant. Cut back to a leaf that is about 2 inches from the base of the plant, to keep new growth coming in. Remove yellow leaves that are ageing. Re-Potting: If the money plant has robust growth, and it seems outgrowing the pot, it is time to repot. After a year you can re-pot in a container 1 or 2 sizes larger, with fresh soil and manure. It helps to trim the plant back at this time also.